An organization founded for the picker and around the picker. 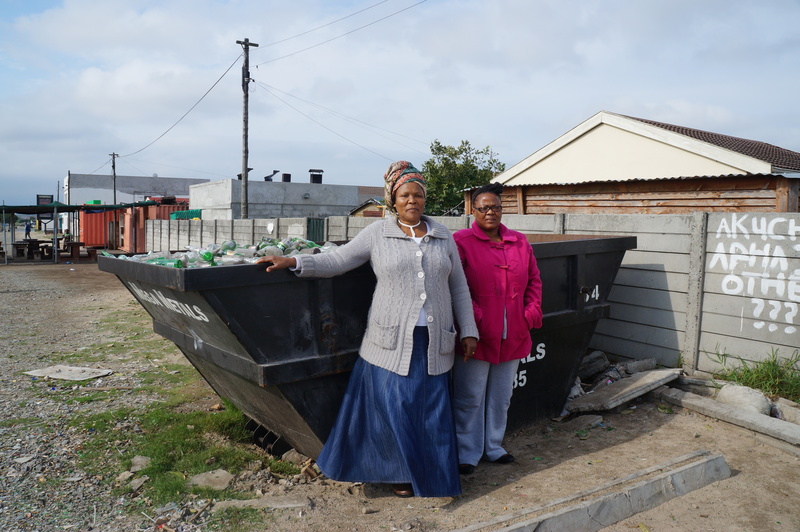 BlueSky Recyling is a livlihood and recyling program founded to provde a market for informal pickers throughout different townships. "When some people talk about recycling , they only look at material. We are looking at much more than that. We are looking at recycling people’s attitude towards life, their visions, the whole idea of “Why are we here?". BlueSky Recycling is looking to work with businesses in and around the Cape Town area. Mama Agnes and her daughter used the income generated through BlueSky Recycling to grow her family car wash business.